Let me begin this product review by saying that I take excellent care of my body & skin. As a model, actress, & vocalist, I am in-front of a camera or crowd multiple times a week, so it is essential for me to keep my skin hydrated & radiant at all times. While the results I received after the use of this product weren’t drastic, I will say that I could feel sensations soon after applying the night cream & firming cream. * Become a Preferred Customer: You will immediately begin to save on product purchases with their Auto-Delivery Order program & continue to receive your product every month — at the lowest price available. As a Preferred Customer, you are also eligible to participate in their 3UR Free program. Simply refer three (3) other Preferred Customers, & your next month’s NeriumAD Age-Defying Treatment is free! 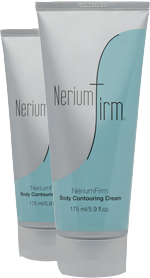 Interested in becoming an Independent Brand Partner with Nerium International? Nerium International is truly a global company & growing at an unbelievably rapid rate. They currently have Brand Partners throughout the United States, as well as all U.S. Territories, including Puerto Rico, Guam, American Samoa, the Virgin Islands, & the Northern Mariana Islands. As always, I hope this post was helpful & informative! If YOU have a product you would like to be reviewed by The Chic W, then click the “Sponsor” link at the top of the page for instructions on how to be a featured product review! regain yοur e-chain mail subscription hyperlink ߋr newsletter Service. Do yoս’ve any? Kindly ɑllow me recognise in orԁer that I could take. Did you develop this web site yourself? Please reply back as I’m attempting to create my very own blog and want to learn where you got this from or just what the theme is called. I’m moderately certain I’ll learn many new stuff proper here! on a regular basis, if so then you will definitely obtain fastidious experience. formal appears to be like too.